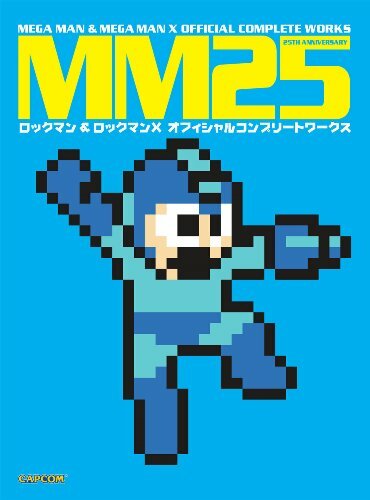 MM25 is the English translated edition of the Japanese artbook R20+5 ロックマン&ロックマンXオフィシャルコンプリートワークス. And R20+5 is the updated edition for R20. For R20, Udon released two translated books in the form of Mega Man: Official Complete Works and Mega Man X: Official Complete Works. This time, for the 25th anniversary mega man artbook, Udon has retained the single book format of the Japanese edition. In addition to the standard paper edition, there's the limited edition featuring a gorgeous blue laser foil hardcover. As with Udon's limited editions, they are only available on Udon's online store. The books debuted at San Diego Comic Con 2013 and sold out promptly. Retail copies will be available in August 2013. This new edition has 432 pages, of which 96 pages of new content. The binding looks strong enough for a book this thick, but I will still be careful not to damage the spine though, for the paperback edition. Majority of the content remains the same, and there are minimal layout changes. Much of the new content comes from Mega Man 9 & 10, miscellaneous art from gaming cards, and interviews with the illustrators Tatsuya Yoshikawa, Haruki Suetsugu, Hideki Ishikawa, Ryuji Higurashi, Keisuke Mizuno, Kenta Saito and Yuri Kataiwa. I've reviewed the earlier editions before so I'll not repeat much. This is an awesome book packed with an astonishing amount of art for the characters and merchandise. You'll flash back to your childhood days when Mega Man first came out in 1987. Since then, there have been so many sequels and the expansion into the X series and other spinoffs. There are forty over titles and art for all are inside the book. That should give you an idea of the scope of the book. This is a book all Mega Man fans should have. Highly recommended. Should you get the book if you have the two earlier books? It depends on whether you want the Mega Man 9 and 10 art. The limited blue laser foil hardcover edition is gorgeous. It looks really classy. This is the standard edition. Udon artbooks don't usually come with dust jackets but this one does. From the left, the Japanese edition, English limited edition and standard edition.